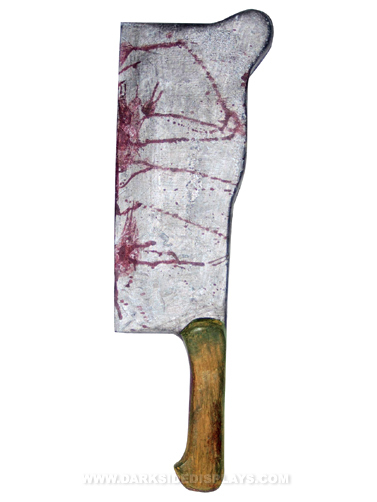 The infamous bloody cleaver has been the weapon of choice for movie maniacs time and time again. You can't go wrong with an old classic like this. Great Halloween prop that works as a costume accessory to. Life-sized. Hard plastic construction with a realistic "wood look" textured handle. Lightweight. Bloody Meat Cleaver Prop measures 15"L x 4.5"W.